The spirit of the iconic ZEE Jaipur Literature Festival, held annually in Jaipur, India, travels across countries and continents with a caravan of writers, thinkers, poets, influencers, balladeers and raconteurs to bring alive South Asia’s unique multilingual literary heritage and to infuse it with the cultural flavours of the host countries. The results are unique and delightful medleys of thought, inspirations, literature and imagination. Majestic festivals travel annually to destinations across the world where they run to packed houses and are awaited each year with excitement and anticipation. JLF has an array of dynamic offerings across a grand sweep of the globe. Find a JLF near you! 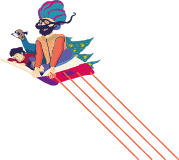 The Jaipur Literary Festival is part-circus, part-postgraduate seminar and part-revolutionary assembly. The greatest literary show on Earth. The most fabulous literary love-fest on the planet. Seeing school students, in uniform, on a Saturday, peppering esteemed journalists and politicians with erudite and wide-ranging questions was brilliant.